Index funds track a benchmark and are very popular with retail investors. The goal of index funds isn’t to beat the benchmark but instead to replicate it. This means producing returns as close as possible to the target benchmark. Index fund investing is also considered passive investing since you aren’t generally moving into and out of them. In this article, we’ll look at the most popular funds that track the S&P 500 index. Numbers displayed for these funds are accurate as of September 24, 2018 and returns have been calculated using Morningstar. The S&P 500 (SPX) had a return of 9.28% as of 9/24/2018, according to Bloomberg. SPX is the benchmark that the funds below are tracking. If you want to get started investing in index funds, we recommend using M1 Finance. The reason? They're free - yes, truly free investing. You can build and invest in a portfolio of index funds commission free. Check out M1 Finance here. Remember, all of these funds invest in the same thing - the S&P 500. However, each is slightly different in their underlying performance for a few reasons. The goal of any fund is to have it be as true to the underlying index as possible. In this case, the underlying index has been at 9.28% YTD - and all funds on this list outperformed the index except for one. That's not necessarily a good or bad thing - but ideally you want a fund that closely tracks the underlying index. The reasons it might not (or at least the ones you should focus on) are below. First, each fund has a different expense ratio. This is what you pay as an investor in fees to the management company that's putting together the fund. You should always look for the fund with the lowest expense ratio possible. Second, is cash drag. This is how much cash a fund holds on hand versus how much it allocates to the index. If a fund has a lot of turnover or redemptions from customers, it has to hold more cash to fund these obligations. The more cash it has, the less the overall portfolio mimics the underlying index (because the index has no cash). Third is commissions. Many of these funds are commission free if you buy them at the broker that offers them. However, if you buy them elsewhere, you could face steep commissions. There are platforms like M1 Finance where you can find funds commission free, but if you're already at another firm, this could be costly. The funds below are all solid funds, but as a result of these issues, the perform slightly differently. SPY is a unit investment trust but can still be traded throughout the day like an ETF. This is an extremely liquid instrument that you won’t have any trouble getting into and out of. Some people even engage in day trading with SPY. Although, that technique is costly due to commissions and not recommended for retirement or buy-and-hold accounts. The above list is a mixture of mutual funds and ETFs. What’s the difference, you might wonder? ETFs can be purchased throughout the trading day at their current (market) price whereas mutual funds are purchased at an end-of-day price (called the NAV). One other difference between these two types of funds is how you invest in them. If you want to set up an automatic investment plan that buys a certain amount of a fund on a regular basis, you’ll need to use a mutual fund. ETFs don’t allow you to purchase fractional shares in the same manner. If you want to avoid higher fees (although 0.14% isn’t high), ETFs are generally lower. 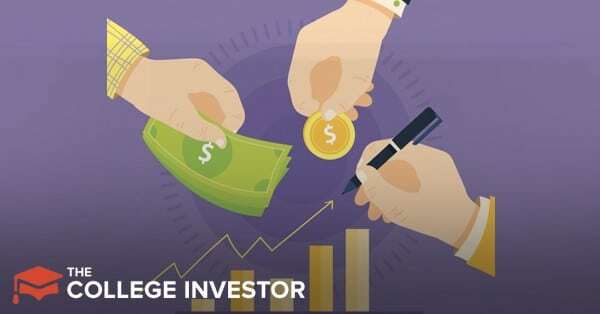 If you want lower fees while also taking advantage of automatic investment plans, you can invest a certain amount into a mutual fund and the remaining amount into a more flexible ETF.